Are you searching for tartan fabric or tartan cloth? Then you’ve come to the right place. We have over 2500 tartan designs available which we can produce for you. 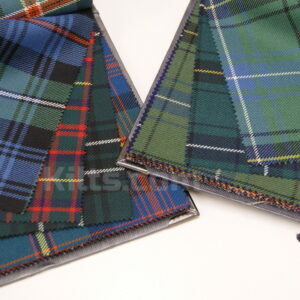 Kilts.com sells Scottish plaid wool fabric that is made from only the finest mills in Scotland. You can order anything from 1 yard to 100 yards! The material we sell is ideal for people who require tartan or plaid for upholstery, pillows, scarves and shawls, as well as many other products. 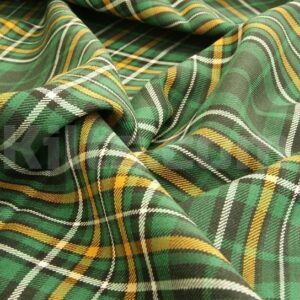 Kilts.com sells the fabric we use for our world famous kilts. The fabric is available in different weights. It is available in 11oz, 13oz and 16oz. The material measures approximately 54-60” wide. This of course depends on the tartan you choose. The material we sell is woven on modern double-width looms. If you have any questions about the tartan fabric, don’t hesitate to contact us and we can help you select the right fabric for your needs. 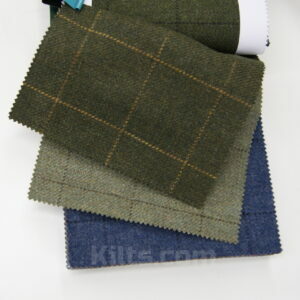 We also sell tartan samples and plaid samples, as well as tweed samples. This helps you select the right design before you go ahead and buy a product.